During his presentation, Dr. Cogburn discussed analysis of text mining transcripts over twelve years of the United Nations IGF. The Minitrack featured papers that apply text mining approaches to a variety of interdisciplinary fields. 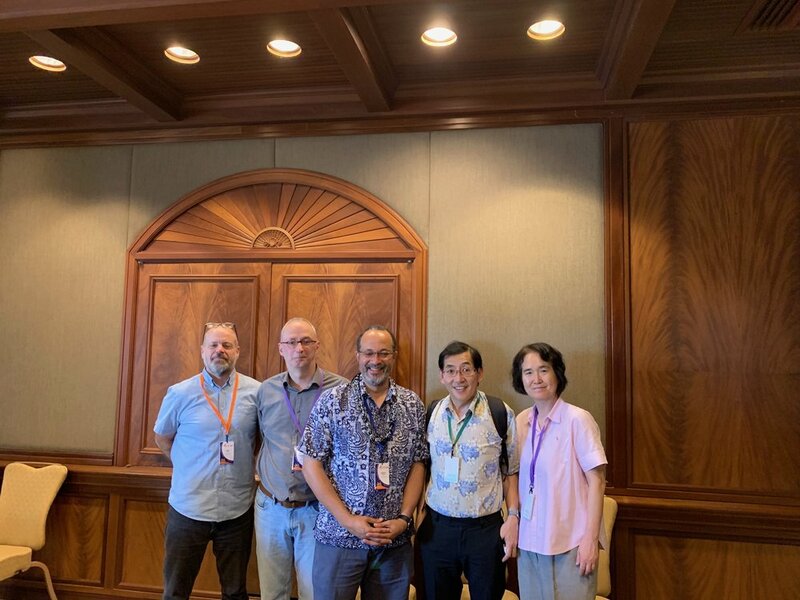 It was co-led with Dr. Michael Hine, Associate Professor of Information Systems at Carelton University Sprott School of Business; Dr. Normand Peladeau, CEO of Provalis Research; and Dr. Victoria Yoon, Professor of Information Systems at Virginia Commonwealth University School of Business. HICSS is the longest-standing and one of the most prestigious scientific conferences in the information systems and technology field. This year, over 1,200 HICSS participants, including academic scholars and industry leaders from over 60 countries, convened to exchange ideas in the information, computer, and system sciences fields. 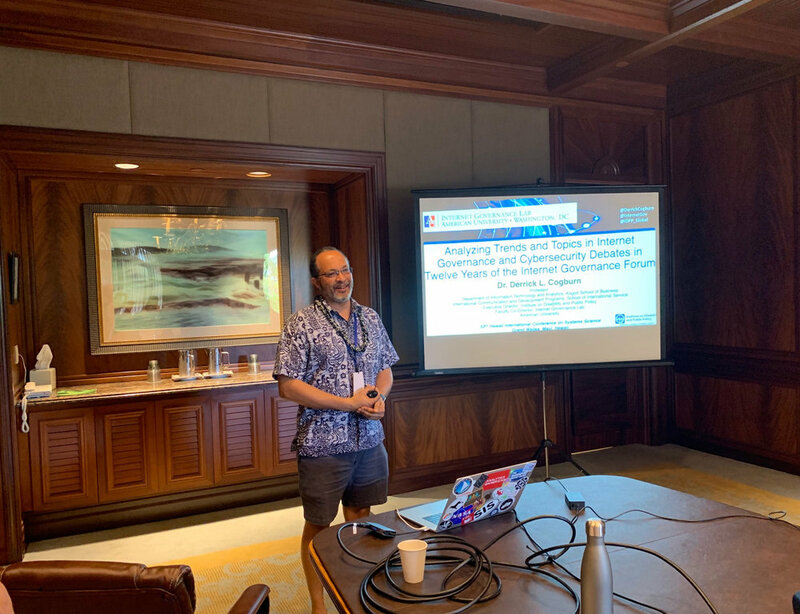 Dr. Cogburn, as well as fellow NetGov Lab Faculty Director Dr. Nanette Levinson, have actively participated in HICSS for the last decade.